The second quatrain uses two metaphors to describe love, both concerned with light, navigation and the sea. The first metaphor compares love to “an ever-fixed mark” such as a lighthouse, used by sailors during bad weather to avoid peril. The second compares love to a star, a light in the heavens which can be used to navigate by, but “whose worth’s unknown”. This second image is the most interesting for how many decisions are made on a daily basis in the name of an emotion that is not really understood? The first two lines of quatrain three (lines 9 – 10) tell us that although physical beauty, “rosy lips and cheeks”, may fade and die, love is not affected by time. This sentence is interesting for a few reasons. Firstly Time is personified by referring to it as “him” but it is also compared to Death, always a close relative anyway, by giving “him” a “bending sickle”, the Grim Reapers scythe. There is also a synecdoche here where the “bending sickle” stands for Death. Lines eleven and twelve reaffirm love’s unchanging nature saying it will last even to doomsday, “the edge of doom”. Ultimately, in Sonnet 116, Shakespeare tells us of the constancy of love, of how it is unchanging over Time and impervious to Death. 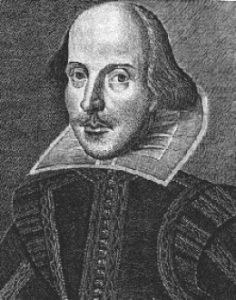 Mabillard, A., 2000, An Analysis of Shakespeare’s Sonnet 116, Shakespeare Online. Access here. Grimes, L. S., 2007, Shakespeare Sonnet 116, suite101.com. Access here.